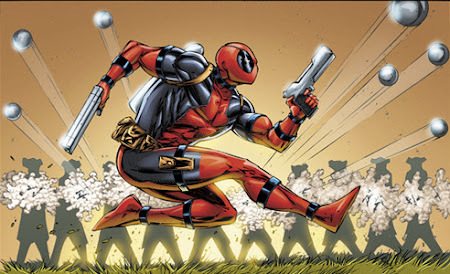 Rob Liefeld has posted a new blog post where he talks about a Deadpool miniseries written by Duane Swierczynski and drawn by him that was never published. The story was set during my original X-Force era with Fabian Nicieza. The original X-Force line-up discovered that Deadpool had stolen a time machine and gone back in time to wreak havoc. The first issue found them in the Revolutionary War, the 2nd issue was the Civil War, the 3rd World War 1 and the last in World War 2.